The Federal Communications Commission voted today to allow giant corporations to own more broadcast stations in the same market. This is a dangerous trend for American citizens, consumers – and democracy. In every other business, driving away customers means losing money. But not in the cable industry. Calling the current marketplace “anti-competitive and anti-consumer,” one cable company has asked the FCC for Cable Choice. 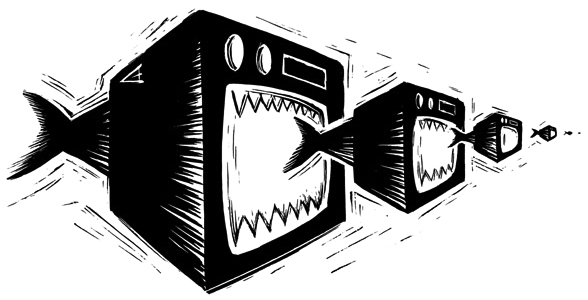 A wave of mergers is causing media companies to get bigger — to the detriment of consumers.